Get the ShowBiz look - shop online at Tunnël Vision7! There are days when we think how do those celebrities get accessories that we can't find normally at the stores. There are days when we want to achieve that ShowBiz red carpet look with the right accessories but yet, we just can't find those accessories anywhere! Fret not, for I just found the answers for exactly such a situation. Accessories that generally don't appear in stores are usually custom made for celebrities according to their specifications and their look and style. BUT, we can get all such accessories online as well! The good news is we don't have to search for such accessories using celebrity names or anything, as I just found the place where we can adorn ourselves in style with incredible street style that have a special air of luxury. Accessories from wooden framed sunglasses and wooden watches to adorable purses that make a ShowBiz statement are all available at Tunnël Vision7!, which is the fashion accessories destination for things that you can't find at stores. If you look at their Wooden accessories collection, you will understand what I'm talking about! They are very exquisite and are of great quality guaranteed. 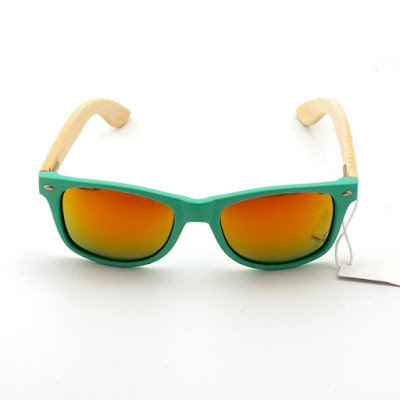 I personally love the wooden sunglasses as I've never seen something like it ever before and would love to own it! See it below.